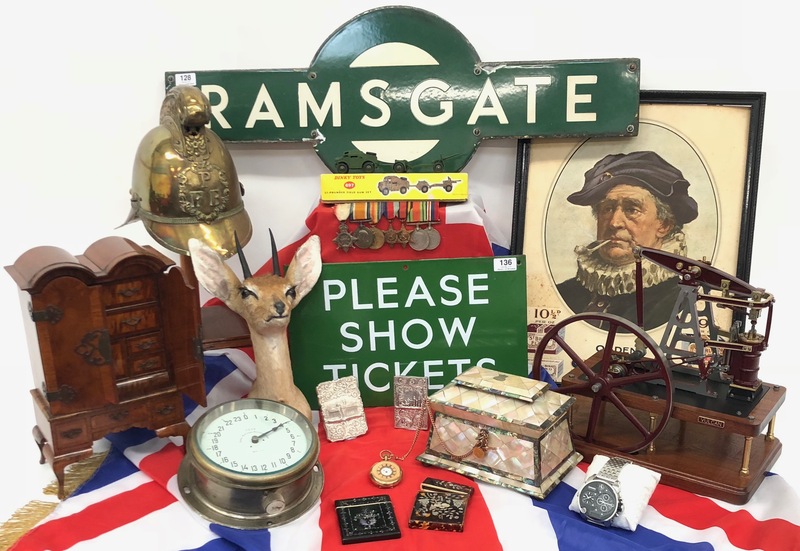 Following an increasing request from vendors to help out with subsidiary collections to their main interest of Military Antiques & Militaria, we are pleased to announce the introduction of a second annual Collectors sale to our calendar. This extra sale will take place on the 24th May and will contain a very fine collection of Antique Card Cases, including a number by the renowned Victorian silversmith Nathaniel Mills. Also included is a selection of Railway collectables including Station signs, badges, etc. Toys and models will bring back memories of the early 1980’s with a pub table electronic “Space Invaders Games”. The sale sections include Stamps & Coins, Curiosities with two superb late 19th Century Automata Music Boxes, Transport collectibles and a selection of militaria. With a number of specialist consultants on call we are pleased to extend this service and take away the headache of disposing of subsidiary collections. Our next collectors sale will run along side our popular Aviation Collectors sale on the 13th September.